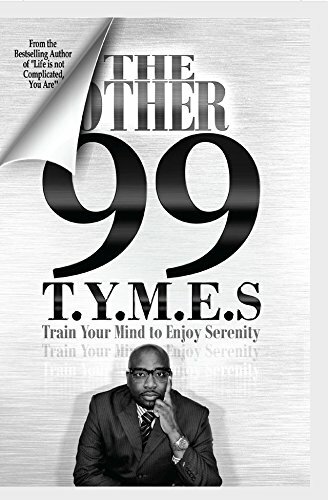 Carlos Wallace has hit the nail on the head with “The Other 99 T.Y.M.E.S.” It is excellent reading; inspirational and will make you want to take a step back and reassess your thinking. The bottom line is we spend so much time thinking about what went wrong, we don’t remember what went right. Wallace states when this happens on a consistent basis we lose sight of what really matters. The goal of the book is to help readers appreciate the good in their life and learn to set aside frustration and anger to look at the bigger picture. He is not saying there will never be obstacles, frustration, or anger, he is saying don’t let it eat you up. I loved that he gave great examples from real life, sharing his own experiences and not lecturing as if we were naughty children. His thirteen chapters cover topics such as Reality Check, Door Money (when money means more than how you treat others), Game Day (the team or people around you are more important than you), and Front Row. He does not tell us we must change our principles, but we should keep an open mind as to where others are coming from or where they might be going. The chapter on relationships was very interesting. The author subscribes to the “80/20” rule, which means that the man or woman is getting at least 80% of their needs satisfied. This does not mean being a doormat and giving in, but that one tunes in to their partners needs and helps support those needs. The other 20% is when we look to others outside of our relationship to fulfill our needs. The old saying “The grass is always greener on the other side,” applies here. However, in reality it is a short fix, which often adds more problems. I loved the honesty and compassion presented by Carlos Wallace in “The Other 99 T.Y.M.E.S.” It is very well written and will resonate with all readers. It is easy to read and understand, and provides many thought provoking ideas. The author has another book titled “Life is not Complicated, You Are,” which I am looking forward to reading.